Especially the first one. Many of the Warmistas would benefit from understanding it… and it could serve as a Skeptic’s Creed. I’ve bolded a few I especially like. Now I’m pretty sure that as Head Honcho he had lots of witty people to give him quotes he could then pronounce as his own. But still, this does illustrate that real wisdom has a timeless quality. A lot of very smart folks have lived over the ages and figured out a lot of things. Were I in charge of education, I’d likely set a staff to searching out real wisdom of the ages and teaching that. Certainly long before how to put “long balloons” on bananas or “global warming” or most all of the dreck served up as “social science”. This entry was posted in History, Human Interest and tagged Akehenaton, Egypt, wisdom. Bookmark the permalink. Why are the words of Akhenaton so alien to the words spoken by current political leaders? As I slowly realized our despire, after watching the responses of politicians to Climategate revelations, I became keenly aware of wisdom’s absence. Now I know old Akhenaton did not speak English, olde style or present day. But his translations sure read like something out of the Plymouth Primer. So reading the quotes (all excellent as you indicate), it makes me wonder who did the translating. And when. 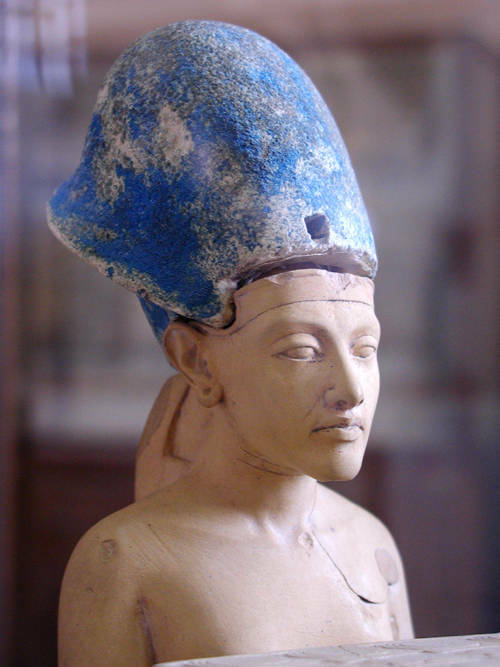 Agreed, Akhenaton was an interesting fellow – a monotheist trying against the odds to reform his polytheistic nation. Interesting (and unfortunate) too that, after his death, much of his work was promptly undone by the “consensus” of the day, who had no time for this sun-worship stuff. I first encountered him 25-30 years ago when Philip Glass’ opera ‘Akhnaten’ came out, and respected him from the first. You meet some surprising people through opera. For another such, look up the story of Cola di Rienzi, the subject of Wagner’s early (and rarely performed, though not bad at all) opera ‘Rienzi’, based on *Bulwer-Lytton’s book ‘Rienzi, the Last of the Tribunes’. An early popular hero, he outsmarted the “elite” and tried for genuinely popular representation, becoming a Roman tribune despite his humble origins (he was an innkeeper’s son, like me) and having an early go at unifying Italy. Not bad for a 14th century pleb troublemaker! * – Edward Bulwer-Lytton was responsible for the immortally awful opening line “It was a dark and stormy night …”. This is celebrated (?) in the annual Bulwer-Lytton Fiction Contest, in which authors attempt to write even worse opening lines (and, sometimes, succeed …). Interesting character, looked into him some while back. Bands of his followers of one god fled all over. His philosophies and teachings are the basis of the christian son of the sun, JC. What an interesting idea! Too bad you won’t get a chance to try it out somewhere given that the people who control education in the USA are imposing Progressive education ideas at every opportunity. Your idea would be dismissed as Regressive. Progressive education comes in many guises such as OBE (Outcomes Based Education), DAP (Developmentally Appropriate Practice), “Affective Education” and so on. Teachers no longer teach, they facilitate or coach. Classes are heterogeneous (mixed ability but same age). Whole Language and “Intrinsic Phonics” have replaced “Systematic Phonics”. Subjective assessments (e.g. portfolios) replace objective assessments (e.g. tests). There is more concern for “self esteem” than for effort or achievement. These bad ideas are persistent and keep coming back no matter how many times they fail. In my lifetime I have come across a handful of “World Class” schools and most of them owe their success to their ability to reject “Progressive Education” imposed from above. The latest “Top Down” mandate is the most Draconian ever attempted. It is called “Common Core Standards” with the aim of controlling all forms of education that have managed to become emancipated from State and Federal government control. If you are a home schooler…….If your kids are in private school……..If your kids are in a charter school……………..you are about to be scooped up by the Common Core Standards that were cooked up behind closed doors with no public hearings and without being tested in a single school. George Orwell warned us about the over centralization of political power in his novel “1984”. Too bad we did not realize that it can happen here. One benefit of working in education is contact with the idealism of youth. When I worked with a group of five very talented freshman students in 1998 to decipher the data that NASA finally released from the Galileo probe of Jupiter in 1995, we would share such idealistic ideas as we worked late at night trying to understand how science and education became so alien to the philosophies of Aristotle and Plato. Some of us shared similar concerns when we contrasted the beauty of nature with the ugliness of mankind. Egypt was both an Empire and a monumental culture, which meant it conquered other nations, subjugated them, took tribute, and emphasized grandiose, impressive building projects which required centralized control of labor and materials – and of course, plenty of slave labor. In roughly 1440 BC, their slaves, numbering possibly more than a million including family members, abruptly left the powerful Egyptian nation. This was a devastating blow to them not only economically, but it was also a military and a spiritual crisis. According to the ancient record of Moses, the Egyptians were unwilling to release the slaves voluntarily. What followed are known as the Ten Plagues of Egypt. 1. Turning the Water to Blood: The Nile was source of fertility from flooding and fresh water. The Nile, which was sacred to Osiris, was made undrinkable. 2. The Plague of the Frogs: Heka was the frog-headed goddess with a temple in Memphis. It may have been a capital offense to kill a sacred frog. So many frogs appeared in Egypt that they were in beds, kneeding bowls, etc..
3. The Plague of Lice: The dust of the earth was turned to lice. Geb was the earth god of the Egyptians. 4. The Plague of Flies: or was it the plague of Beetles, or scarabs? 5. Plague of the Cattle: Directed against the worship of the black bull, Aphis. 6. The Plague of Boils: The Priest Class of Egypt could not serve in temples unless they were spotless. 7. The Plague of Hail: The Sky Goddess was powerless over her domain. 8. The Plague of Locusts: This destroyed many crops and stripped some trees. It must have been very severe. We have had such locust storms historically in the US. One town in Nebraska saved its two favorite cottonwood trees by splashing water on them continually until the locusts moved on. Anyway, apparently there were a few insect gods in Egypt. A blow to the economy. 9. The Plague of Darkness: The sun-god Ra did not shine, or at least his Eye. 10. The Death of the First Born: The Egyptians had been practicing eugenics/population control on the slaves, and now their first born were taken. As in many ancient cultures, the first born was favored and belonged to the gods. I think the quotes are wonderful, thanks for posting them. 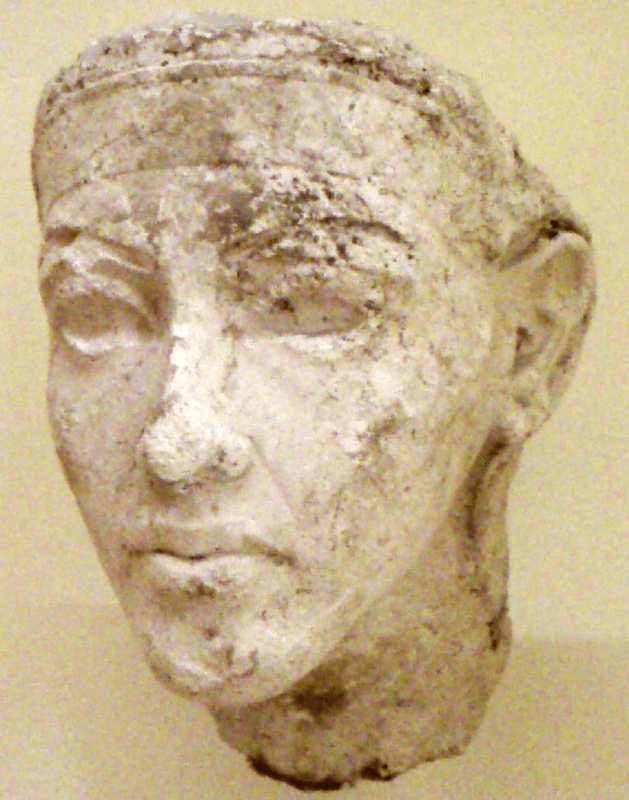 Looking at the busts of Akhenaton, there was a beautiful and lively portrait sculpure tradition in Egypt at the time. Zeke, I appreciate your comments and your web site. To cause the Ten Plagues of Egypt, to endow Mozart and Shakespeare with their musical and literary talents, etc. Is it perhaps time to unite science and spirituality into a combined search for purpose and guidance? @ p.g. sharrow: WOW ! Thanks for that quote from Planck. I had no idea that the union of science and spirituality had such a strong foundation. Again, p.g. sharrow, thanks! Do you have a link to the 1918 Nobel Prize Lecture? I would be glad to save education from Nationalization and Common Core, and to find some answers with all of you. And thank you very much for visiting my Frédéric Bastiat page, O Manuel. EM, thanks for your eclectic intellectual meanderings. I concur with Phil Jourdan, why translate quotes into archaic English form? For effect? That’s silly. Anyway, you make the more important point about teaching wisdom in addition to purely instrumental skills. Modern, post-feudal society owes so much to “classic” education that in fact emphasized wisdom. More recently, what has been, since the 19th Century, called a “Liberal Arts” education (and highly prized, not scorned) has in the last 40 years been denigrated, demeaned, devalued, and deleted by even the most elite US universities (I’m thinking Stanford in particular). What the idiot academics in charge of those institutions don’t seem to understand is that the lack of development, the ongoing corruption, and the generally uncivil nature of most of the developing world is due to the fact that those countries/ cultures DO NOT have a tradition of “teaching wisdom.” And not just because they are too poor to do so. I know, I’ve worked in dozens of those countries and it is shocking how bereft they are of teaching that is founded on a thoughtful sense of wisdom. As a consequence, modern academe is, quite simply, driving us back into history, encouraging citizens to become unwise and therefore less civil. Cultural “relativism” is such nonsense. Thank you for showing me one of the sources of the wisdom the West has taken thousands of years to evolve into something coherent, usable, and workable. Let’s hope we can recover our philosophical compass that will, once again, inform us that there are truths worth knowing that go beyond what is instrumental. I have always been an admirer of one of the original monotheists, but considering how many quotes are misrepresented and misattributed, how can we be sure these actually came from his mind or those of his staff? Lots of truisms to be sure. As others have pointed out most of these themes can be found in biblical texts and just about any other religion. I say that as a note of observation and mean no disrespect. As they say, “The golden rule is, he who controls the gold makes the rules”. I always find it amusing that someone like a Pharaoh who had more wealth then 99.99999% of humanity at that period of time would preach the salvation of poverty. Kind of like Al Gore preaching about consumption. Early humans believed in “That which Is” GOD. Everything was part of the soul or spirit of their world. Over time the spirit of all things became, things had spirits that became known as gods of those things. Then as groups became strong, it was our totem, spirit or god, was stronger then yours. Hierarchies of gods with “human” characteristics were created to explain everything. Wonderfully colorful tales. A Dark Age of a small elite group controlling the masses with their religious mumbo jumbo began. “We control the salvation of your soul”. “Give us your wealth and energies and we promises your soul will not perish”. Akhenaton attempted to escape the control of the existing priest class with the creation of his new religion that he was the head of. Upon his death the old priest class eradicated his creation and went back to the old ways. We are still locked in a world war of religions that are fighting for control of everyone. Thanks for information on the role of God in the historical struggle between the masses and the rulers. 1.0000000000 amu = 1/56 M(Fe-56) ? Then to better understand energy changes in chemical reactions, the values of entropy, enthalpy and free energy might be normalized to that of Fe-56. @JP Miller; The only way that I know of to teach young people “wisdom” is to Let or Require them to make a valuable contribution to their society. In the old ways, 8 to 9 year olds, had work or chores that made a NEEDED addition to the wellbeing of their family. RESPONSIBILITY to society. We are now extending childhood into the mid 20s. NO RESPONSIBILITY to society. Wisdom can only be learned in REAL life. Modern academia has little or no real life experience as they have spent their lives in their protected bubble. When I started school the United States in general and California in particular had the best education system in the world. Locally funded and controlled, with NO government assistance. And it was available to all citizens. But then politicians said that they could make it much better and more efficient if they and professional administrators could take control of the funds and management. They instituted closed shop unions and top down directives from politically connected administrators to teach the “Correct” curriculum, one size fits all, equality of outcomes from equality of inputs. Everyone equally ignorant and poor as they got rid the real life training programs of secondary schools in favor of “Liberal” training for college. As part of the leading edge of the “baby boom” I watched the deliberate destruction of the American Education System in favor of this “Liberal Progressive system of Equal Outcomes.” Luckily I was just ahead of the wave but, as I was an adult at an early age, I could appreciate what was happening around me. One great improvement in wisdom that can be done is prohibit higher education before adulthood, 21. Require 3 years of real job history or military. You HAVE to GROW UP to acquire wisdom! It does not come out of a book. I can tell you what wisdom is:, but you have to live life to learn it. PG, having to earn one’s keep — being allowed to earn one’s keep with little restriction — is a critical component of growing up and gaining wisdom. But what makes a society healthy is a shared sense of values. Religion — Christianity, in particular — provided those values in the West, until the last 100 years or so when its influence in the formation of values eroded dramatically. At the same time, we’ve chosen to destroy the only usable secular substitute: the classics, the Enlightenment. It’s a sad unwinding, like happened after the fall of Rome. Having a shared sense of values may or may not be positive. The Muslim brotherhood has a shared sense of values. The Liberal Progressives have a shared sense of values. The Ecoloons have a shared sense of values. And they all consider the rest of us to be dirt to be swept away. Jesus tried to teach precepts that would create a more civil society. Religions, first and foremost, teach their cult dogma of, us against the world. Not a positive thing as it results in serious conflict, verbal then physical. The wonderful advancement the western world has seen was the result of the Puritan work ethic and the Anglo-American sense of fair play and help your neighbor to help yourself. These are things that Rome never had, even after they adopted Christianity. The city-state empire of Rome collapsed because they ran out of wealthy neighbors to plunder. The Enlightenment happened due to the weakening of religious control and the advent of the printing press publishing. Political Religion no longer had control of the dissemination of knowledge. The American Experiment was very much the creation of Ben Franklins’ printing press publishing empire. A franchise network that ran through out the colonies, publishing essays of thought and argument through out all the towns and country side. People from Maine to Georgia became Americans! B.Franklin became the first, western world POPular Star. George Washington might have been the father of his country but, Ben Franklin was the Grand Father and its’ first teacher of shared common values. What absolutely astounds me is that any one who is self-taught, or self-educated, could ever support Common Core. Common Core is a straight jacket, literally a rote curriculum, for states, for counties, and for teachers in the classroom. And it is also a nationalized education program. It is diabolically opposed to the understanding that learning is highly individual, and the freedom of a student to learn according to ability and interest, and the teacher to have many degrees of freedom, achieves best results. Any one who considers themselves self-taught should be able to recognize the problems with Common Core on its face. Unless they are swayed by Bill Gates’ money and Progressive desire to centralize control of schools. Homeschooling and other forms of educational freedom use the self-motivation of the student to greatest effect. The data show that homeschooling parents, private schools, and charter schools almost always get far better results with far fewer resources than public schools and their Teacher Unions. And I would like to add that the self-educated are far more in number than we commonly realize. For example, hobbyists put in so many hours of reading and practice, than many of them can be considered amateurs of great standing. Look at how many of them discover comets, or have their wonderful collections of fossils become museum collections upon their death. Also, many people who are retired have their career behind them, and so are able to pursue questions – either within their area of education and profession or not – and are able to make many contributions to society and science. They can be considered self-educated. My third example is actually couter-intuitive, but addresses what pg and others have brought up, and that is the value of experience. When a graduate leaves to be hired on for practice, their abilities can be expected to increase greatly with experience. They will move from reliance on what the books say, to what experience shows to be true. For example, a doctor looking at x-rays will develop a greater ability to look for certain causes and effects that he has learned from experience. So every one is self-taught and knows that education is actually natural to human life. It is not dependent on schools. Thank you for overlooking a few problems with mismatched pronouns, and a missing article here and there. Einstein said that the cosmological constant was his “biggest blunder” more than half a century before the experimental discovery of a nonzero cosmological constant (in the late 1990s). Most cosmologists and theoretical physicists tended to believe that the cosmological constant was exactly zero before it was experimentally found that it was strictly positive. The experimental case for the existence of black holes – with event horizons – is arguably equally strong as the case for the cosmological constant, if not stronger. So Hawking’s repentance is arguably much more embarrassing than Einstein’s. The Hawking radiation hasn’t been experimentally found but it’s extremely well theoretically understood and it’s theoretically clear that black holes with event horizons and the Hawking radiation don’t violate CPT and don’t suffer from any other lethal problems suggested by Hawking. For decades, I have been impressed by Hawking’s being so right about so many cutting-edge questions (except for some important exceptions where he lost the bets, of course, like the information loss, the existence of the Higgs, and some others), despite all the hurdles he is overcoming while forming his own opinions. Unfortunately, his rejection of the black hole has changed this impression in a significantly negative direction. It’s silly not to believe that black hole horizons exist. I’m not a physicist so I don’t know, maybe physicists don’t know either. In my opinion Hawking was very good at putting together wonderful theories. I don’t have as high a regard for their connection to the real universe. Hawking Radiation is a construct to solve a problem in the definition of a black-hole and its’ event horizon. In time it will be discovered that a black-hole leaks matter and energy from its’ poles as gravity and mass/inertia is distorted by its’ rich, intense, tangled EMF fields. Another wiseman that was vilified for his insights on science, Many that have proved correct in the last 50 years. He had personal correspondence and visits with A.Einstein and M.Planck. In view of the desperation and fear that now grips society, the third chapter of my autobiography will use the work of Einstein, Planck and Aston to assure readers that the real force is both benevolent and powerful. @Omanuel; thanks for finding it. I will add the whole to the front piece of my blog. For this work, Aston received a Nobel Prize in Chemistry in 1922. D. von Weizsacker’s seriously flawed “average nuclear binding energy per nucleon” is based on the physics definition of mass defect. E. Educators are indoctrinated with misleading graphs and statements, e.g., “Iron-56 has the most binding energy per nucleon”  – a statement falsified by experimental data. Thanks for those comments on how education used to be in California during your lifetime. I would go further by suggesting that literacy in the USA was far higher 100 years ago than it is today. My understanding of that pithy sentence is that our schools worked better when they were controlled by the local community. If that is what you meant I concur but how can we reverse the relentless centralization of the control of our schools to Sacramento and Washington? According to Jerry Pournelle: Velikovsky “tried to prove that Oedipus and Ankhnaten were one and the same person” … which would be interesting but not otherwise useful. I note that astronomers in general, the American Academy of Science, and Carl Sagan as their appointed champion, arranged to debate Velikovsky theorists regarding Bronze Age histories and myths having astronomical/periodic (literally, cataclysmic and catatrosphic) origins. Even though Sagan and company thoroughly disagreed and disrespected the entire general hypothesis, (let alone specific propositions such as Jupiter “ejecting” Venus as a “comet” to create havoc and miracles in Earth’s atmosphere) the AAS did hold the debate. More that current organizations and their champions are willing to do for “climate skeptics”. To your question; How do we repair the system of education? Cut off the money to the bureaucrats! My experience is that the outcome from all politicians and bureaucrats is always inversely proportional to the money spent. Cut off the money! Starve them! We Don’t Need Them! At this point, mothers should be removing their children from the public schools. That is the first step. In California, I cannot find the exact figures, but look at how many children are on waiting lists for charter schools. Homeschooling has increased to around 2 million nationwide, with 7-15% growth per year since 2001. Freedom of choice in education is the only realistic hope for some children to get a good education. This freedom of choice and competition is destroyed when federal programs and teachers unions are enabled in any way to control the methods, content, and testing used by charters, private, and home school families. This is the equivalent of a single large company being allowed to regulate and run all of the smaller competitors. States and individual parents already agree on standards, number of subjects to be taught, and hours of instructions. All state laws are to be interpreted broadly. For social studies, for example, we are studying the states, which includes many subjects. This year the kids are old enough to read some of the state constitutions. We also enjoy studying the Indian Tribes and the caves, as well as the economies of the states. I think it is safe to assume that Common Core will not test these subjects, but our family has fulfilled the social sciences requirements in that way. Absolutely! The development of digital information technology is the biggest thing since Gutenberg — in fact I usually refer to it as “Gutenberg v2.0” among my friends. Just as the world went through convulsions in politics, science and religion after Gutenberg, we are experiencing the same upheavals as the Powers That Be try desperately to hold on to their old bases of power. Decentralization will win because top down control is inherently inefficient. There are great dangers and there will be even greater disruptions, but in the long run, the individual and individual freedoms will come out on top. I see many here worried about education and the common core PC revisionist history dumbing down of our children. It can be fixed, we in OZ just elected a new government, our PM just put in charge a good man with an axe and a rather large broom to get rid of the crap. Return to reading, writing and arithmetic a return to study of real history,ethics, morality and logical thought is the immediate goal. About bloody time. Do not just vote for your governments ask the bastards intentions, that is what we did, through instant personal communication via the internet. Use it big time it snookers them. Here is the best resource on Common Core I have seen. In the first 8 minutes the presenters cover the way that the adoption of Common Core was tied to tens of millions of federal dollars for each state, under the “Race to the Top” program. This money was conditional on accepting Common Core, sight unseen, before Common Core was released. Now that many states have seen it, they are trying to drop Common Core, and are losing millions in funding for schools. That is why it appeared to be a state-led educational initiative, because states signed up for funding. It also covers the fallacy that Common Core is “just a framework, not a curricula.” It is a curricula, and no changes can be made to it by any local schools because it is COPYRIGHTED material. Now I know old Akhenaton did not speak English, olde style or present day. But his translations sure read like something out of the Plymouth Primer. So […] it makes me wonder who did the translating. And when. It couldn’t’ve been done before the success of Champollion, who announced his decipherment of Egyptian hieroglyphs in 1822. That was long after the distinctive Old-to-Middle English 2nd-person pronouns had dropped out of ordinary use. They’ve been retained in liturgical contexts, notably the Anglican Authorized Version of the Bible named for King James I, and the Catholic modernizations of the Douay Old Testament & R(h)eims New Testament, by Bp. Challoner (1749). I concur with Phil Jourdan, why translate quotes into archaic English form? For effect? That’s silly. Arguably silly if only for “effect”, but not silly if an editor were determined to translate the original hieroglyphs as literally as possible. Nouns & adjectives in Middle Egyptian were inflected phonetically[*] for gender & number (not only singular and plural, but also the dual that also existed in Old English). However, word-order is used to signify the function of a noun (i.e. : verb + subject + object), in contrast with the systems of grammatical cases that add to the challenges posed, e.g., by Latin or Greek. Pronouns in Middle Egyptian were phonetically inflected for person & gender & number (albeit without dual), so translation with the multipurpose modern-English “you”[#] would discard information that might’ve been painstakingly carved into stone. Verbs can have what Egyptologists consider a phonetic pronoun-suffix; it seems to me that asserting that this is not de facto inflection of verbs for person & gender & number is insisting on a distinction without a difference. Be that as it may, they’d be translated most literally into English by resurrecting the quaint “-est”, “-eth”, &c. verb endings. Note *: I.e. : Using phonograms instead of–or in addition to–including taxograms a.k.a. determinative ideograms. Note #: Thus a case for formalizing the “yall” of colloquial Southern speech, removing the apostrophe that’s so troublesome for Yankees and Californians, as the 2nd-person plural pronoun of English. And likewise, formalizing “yalls” as the 2nd-person plural possessive. “As Juliet reminds us, changing the name of something doesn’t change its nature. Yet, in an apparent effort to placate parents, teachers, and taxpayers concerned by the effort to mandate national standards and tests for what every child will learn, several states are considering renaming the Common Core initiative. Florida is renaming it “Next Generation Sunshine State Standards;” the Hawkeye State is going with “the Iowa Core.” Arizona simply removed the words “Common Core” from its standards altogether, and Louisiana is considering following suit. These educators seem to be getting directions from George Orwell’s book, “Nineteen Eighty-Four,” which may explain why they no longer ask students to read the book themselves. It is free online, and of course my son had to point out to me that the book was really an attempt by socialists to distance themselves from Stalin – so in the book, Trotsky and Lenin are “good guys.” I did not recall that. I know that most collectivists would like to make excuses for all of the horrible results from attempts at collectivism. Others are so young and utterly credulous, they have no idea these collectivist experiments have all been carried out on people and nations, and there was no bloody and dark low of human misery to which it did not lead. The hero in George Orwell’s book, “Nineteen Eighty-Four,” finally surrendered to the social insanity of collectivism and joined the cause. I am so sorry, I was thinking of Animal Farm, in which “Snowball” is Trotsky. Notice in Orwell’s book the farm actually works beautifully once the farmer/owner is eliminated, and the animals claim the results of their “own labors.” The pig Napoleon is Stalin, and becomes a dictator. So in that sense, it is a socialist parable. We have a lot of discussions in our house about Stalin’s Russia. I watch what my son reads. He checked out one book from the library in which every hero, victim, and dissident in Russia was a true Marxist, resisting Stalin because he was not practicing socialism. I suppose there were some who may have done so, but all of the rest of the people and groups who were systematically eliminated were not even represented in this book at all. I was growing uncomfortable. He has since read many other accounts, thankfully, so his view is always maturing. Besides, it is easy, after the fact, to claim that you were risking your life distributing pamphlets criticizing Stalin during that era. Such claims could be another coping method to deal with painful memories. Russia is said to be going through continued “de-Stalinization,” but my own feeling is that it is too harsh and gruesome of a memory. People who survive under communist regimes are always deeply traumatized. Most people who survive did not do so by keeping their conscience clear, put it that way. There are also a lot of strong pro-Stalin remarks around, if you look. Yes, Animal Farm was published first and described the rise of collectivism under Stalin prior to WWII. The question is: Who told Orwell after WWII (in 1946) that government science was becoming the propaganda tool of a new tyrannical government ? 5. Prepare to blame economic collapse of the West on Russia ! Certainly it looks as if economic collapse is coming; it would make sense. The arson destruction of the factory and all its records is the last traditional step, usually done after the embezzler has so cooked the books that he will no longer be able to escape an audit. People especially jump when unwarranted conclusions will be to their benefit. Those who will benefit by portraying the Russians as invaders somehow fail to mention that the Russian troops in Ukraine are nothing new, but have been there by agreement with the Ukrainians since the late 1990s. Just my opinion, but as omanual points out, there are people who can both deflect criticism of their actions and make a bunch of money, by (again) building up the Russians as the Evil Nemesis. Now that the US government is supporting Al Qaeda in the Middle East, there is a need for a new boogeyman. @p.g.sparrow – So was Benedict Arnold. But he was never caught, tried or punished. In the 1700s Russia drove the Turks from the Crimea. In 1956 a Ukraine, N Khrushchev then leader of the United Soviet Socialist Republics, transferred control of the Crimea to the Ukraine Soviet. I guess now they want it back. Also much of eastern Ukraine was once Western Russia and part of that 1956 transfer of control. It appears to me that the ” Russian troops” involved are the “private police/security” force that was set up to guard the Olympics and are now being used by their boss, Putin, to further his aims. These are “locals” not regular Russian Army. Power politics of an Oligarch that has some control of the public purse. Notice that the threat of force is being used, not real force. Kind of like a bully that demands that you “give” him your lunch money rather then just take it by force. As noted above, the public was betrayed worldwide after 1945, not by Benedict Arnold, but by frightened world leaders who sought to protect themselves and society from nuclear annihilation. We are alive today, perhaps because of the wisdom of decisions made in 1945. Now we need to let go of blame and move to the next evolutionary stage of human development by utilizing wisely the “powers beyond the dreams of scientific fiction” that Aston described in the last paragraph of his 1922 Nobel Prize Lecture. I agree, p.g.sharrow, and . . .
we must avoid the temptation to repeat their mistake by playing God ourselves and punishing them for doing so. By hatred in this world. By love alone it ceases. @omanuel: “Law”? What “Law”? The day the “corpus” of “LEX ROMANA”is replaced by NATURAL LAW AND COMMON SENSE all barriers will fall.